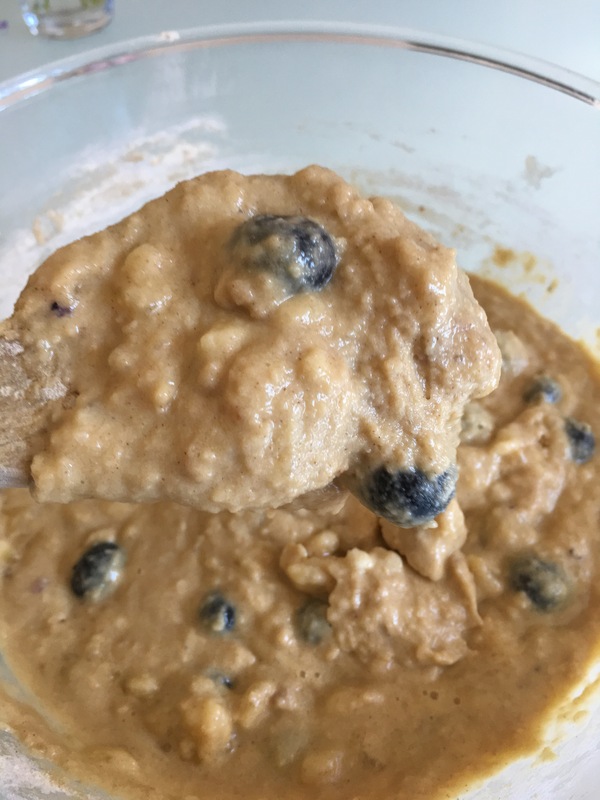 One girl with Crohns disease endeavouring to stay well through clean eating. 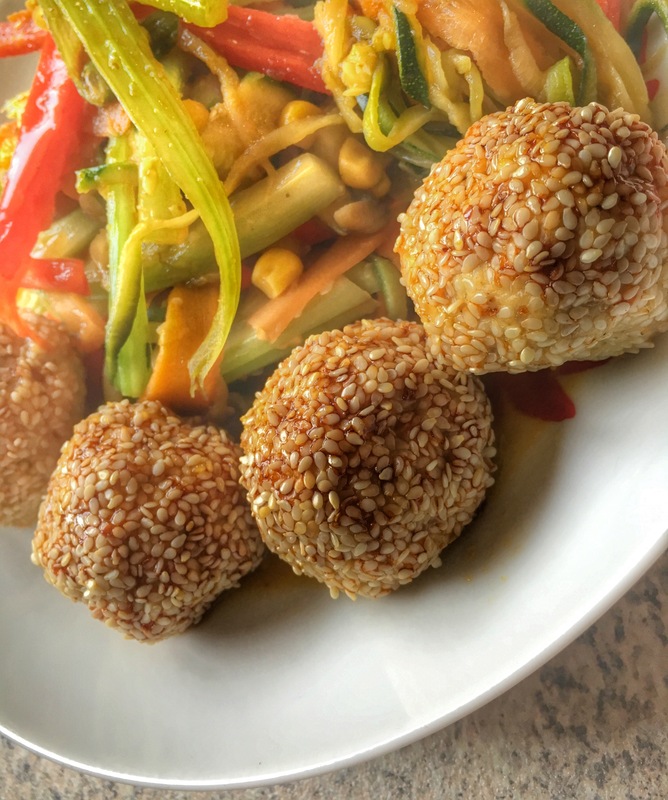 Dead easy to make but packed full of flavour, and the bonus is they’re incredibly low fat too – even more so if you substitute minced pork for minced turkey breast meat. While the balls are cooking add the soy sauce and honey to a pan and bring to the boil, then reduce the heat to a simmer until the sauce has reduced to a syrup-like consistency. When ready to serve pour the sauce of the balls. Serving ideas: serve with Stir fried vegetables, courgetti, rice or noodles. 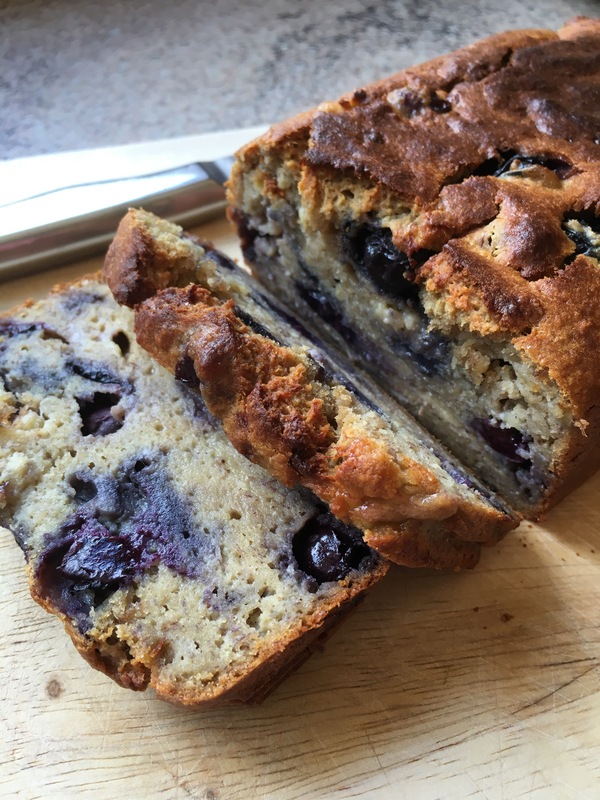 Yes the invention test… What to do with a bunch of bananas which are over ripe and a punnet of blueberries which are begging to be used in something more interesting and a smoothie, the answer is cake! Well more cake-bread. 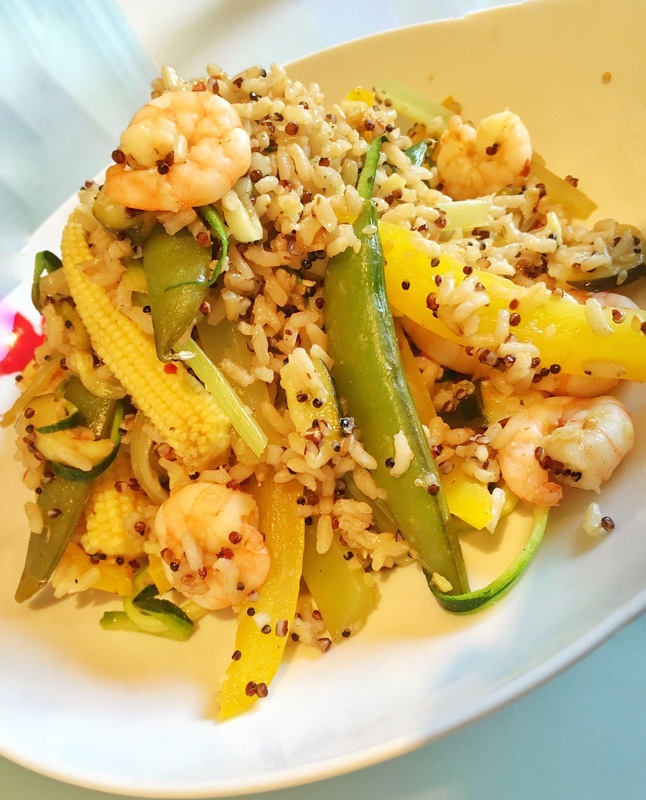 Lemon, honey and ginger prawns with wild rice and quinoa. If you like a sweet and sour combo then you’ll love this recipe. Quick, easy and cheap to make it’s a great mid-week meal suitable for the whole family. While the rice is cooking add the juice from the lemon into a pan with the ginger and honey. Bring the mixture to the boil then simmer for 3 minutes then set aside. In a frying pan cook the prawns in half the coconut oil and add the salt before transferring them to a hot wok. Add your vegetables (I made courgetti from my courgettes) and pour in the sauce. With the remaining coconut oil stir fry the prawns and vegetables for a few minutes then add the cooked rice and quinoa. 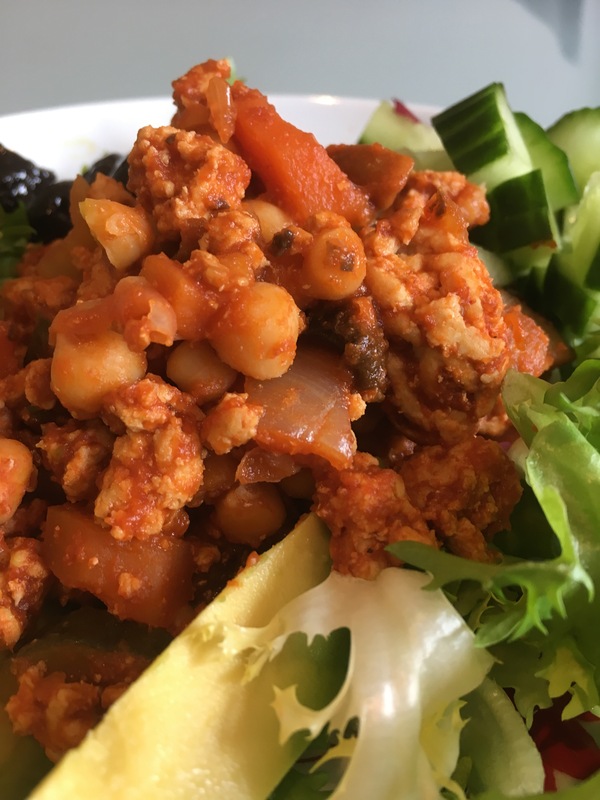 A twist on the standard turkey chilli which is a staple in my household, is Moroccan turkey with chickpeas. Instead of chilli heat the flavour comes from the blend of spices which infuses the meat and chickpeas. Great served with a green salad, couscous, flat bread and mint and yogurt dip, or brown rice or quinoa. With the other tablespoon of coconut oil fry the onions, pepper and carrots and set aside. Heat the spices and coconut oil mix in a non stick pan and fry the turkey mince, once cooked through add the salt, vegetables, chickpeas and passata. Bring to the boil then summer for 20 minutes until the sauce reduces. I love salmon but it can get boring eating it the same old way week in, week out so to add some interest and yummy flavours try this recipe. 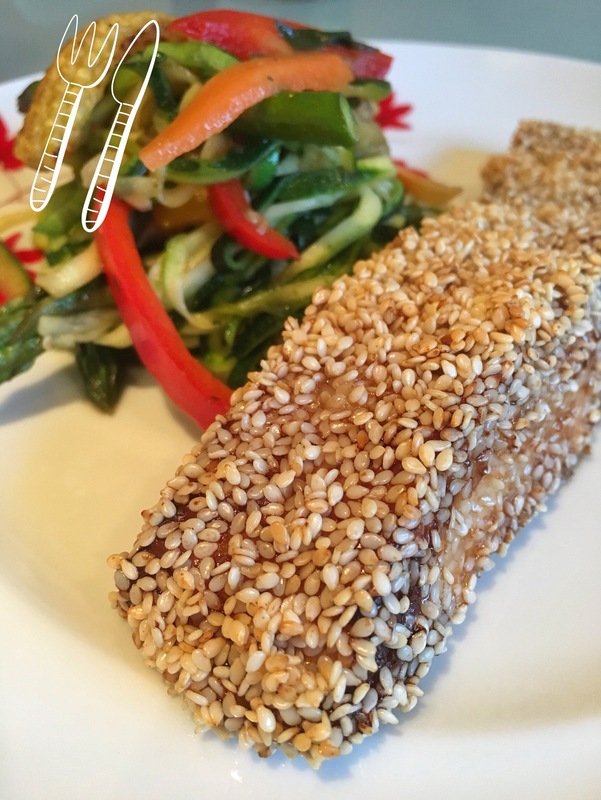 The marinade adds the depth of flavour while the sesame seeds adds additional nutty flavours as well as texture. Crush the star anise in a pestle and add to the mixture. Cook for 25-30 minutes until the sesame seeds just start to turn brown. Serve with courgetti, stir-fried vegetables or rice. Preparation time: 24 hours to marinade. 30 minutes to cook. 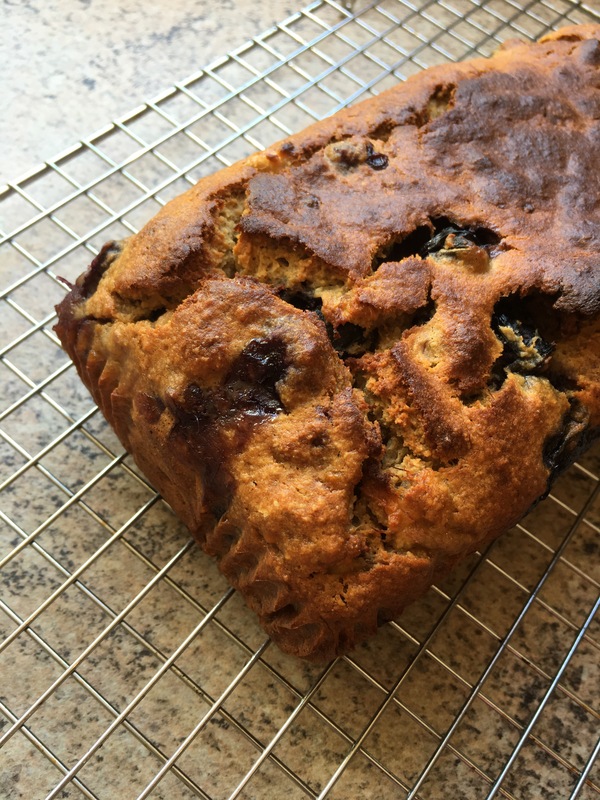 What else is there to make when you have a bunch of bananas that have ripened beyond being edible… banana bread of course. 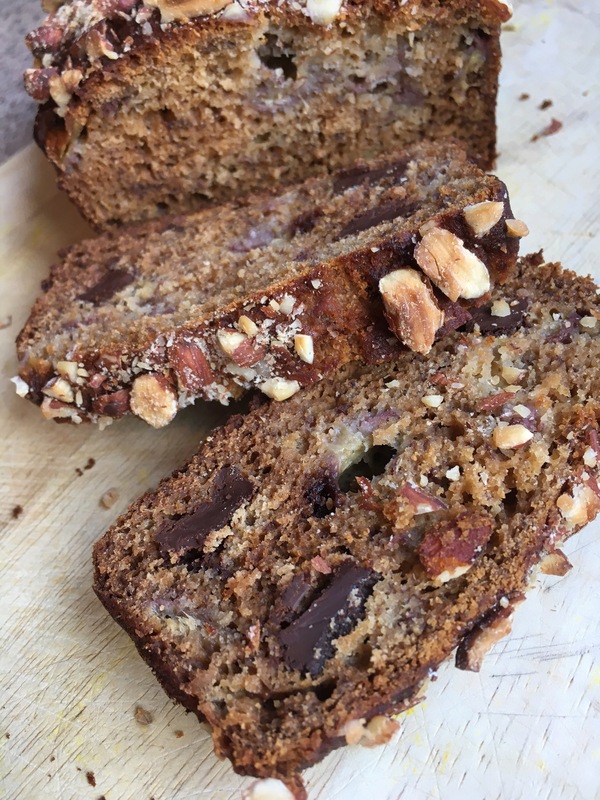 You don’t need to add dark chocolate but for me it actually helps cut through the sweetness of the bananas, as does adding nuts to the top too. Break-up the chocolate into small pieces and add to the mix. 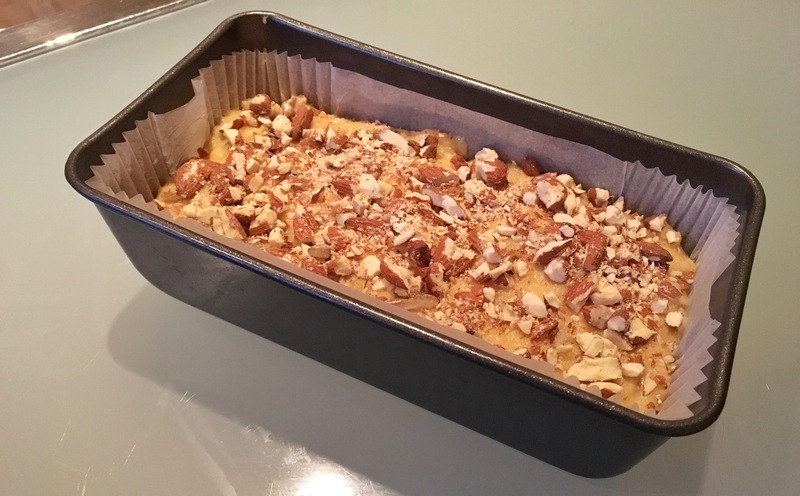 Place in the centre of the oven and bake for 45-55 minutes. Transfer to a cooling rack and remove the paper when cool. 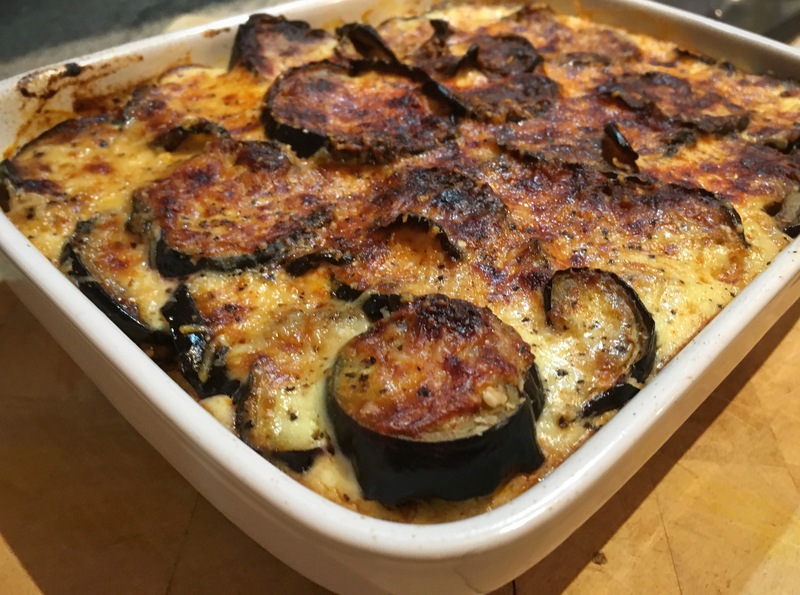 I’ve finally cracked how to make a white sauce that doesn’t require a thickening agent such as flour, which is great news as not only does it work on moussaka I’m betting it’ll taste great in rice or pasta (gluten free) dishes too. Mousakka is a bit of labour of love as it does take a bit of prep but the end result it well worth the wait. While the filling is simmering slice the aubergine thinly and lay on a baking tray and coat with the olive oil. Bake at 180c for 30 mins turning over half way though. 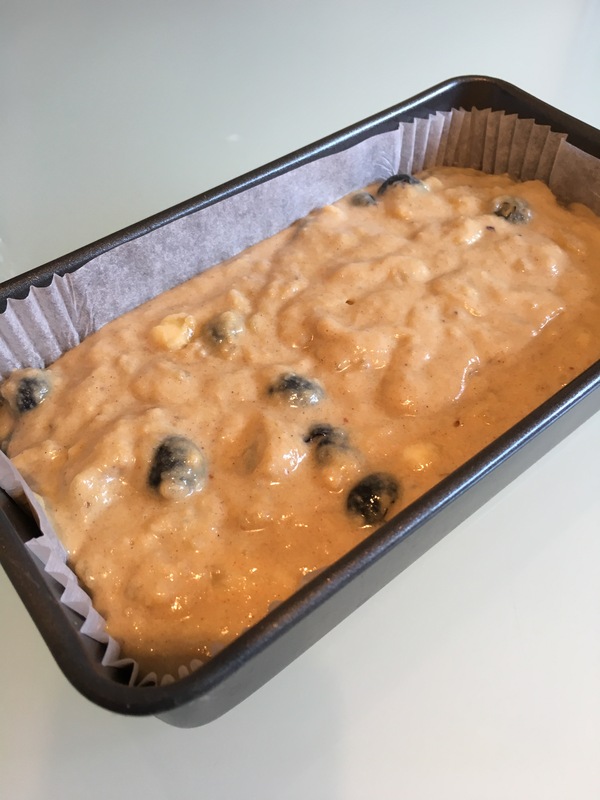 Bake on 180c for 20-30 minutes. I felt I needed a big hit of fibre today so decided to have a flaxseed wrap for lunch. 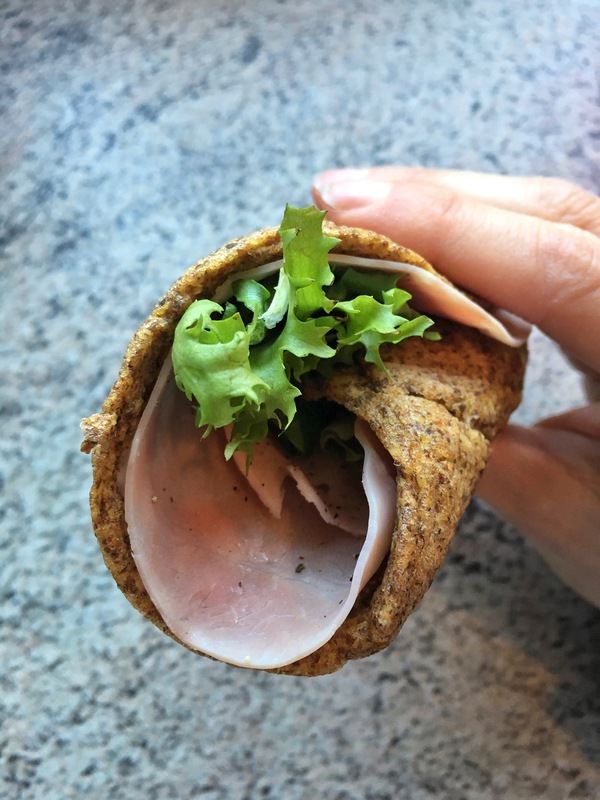 The wrap literally takes five minutes to make and taste lovely. Transfer to a plate and wait for the wraps to cool down before adding the filling. Now I won’t go as far as saying this broth has super magical powers but it is a life saver if you have a cold, upset stomach or are feeling off colour. 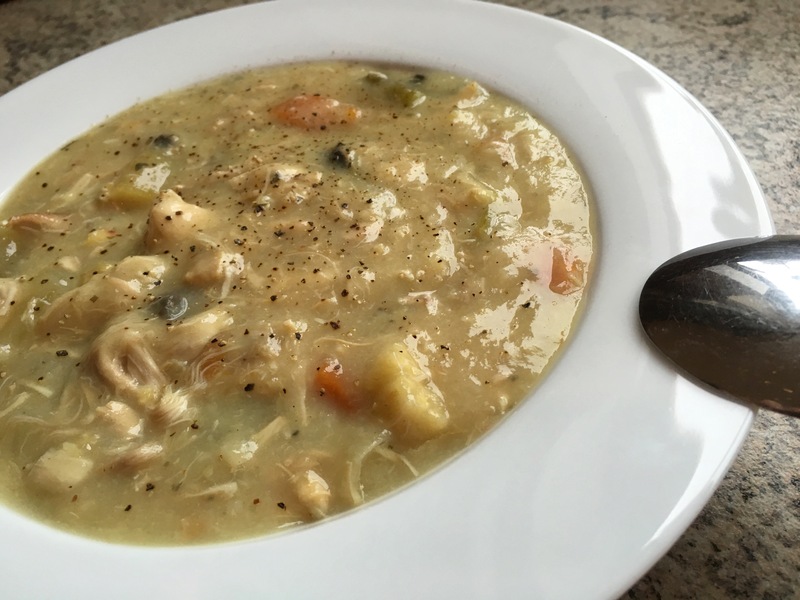 Chicken broth made with proper (homemade) chicken stock has many health benefits and for me, the most important are the immunity fighting properties and the positive effect it has on digestion. Leave to slow cook for at least 5 hours. The spaghetti will dissolve and thicken the broth leaving a rich, creamy texture.